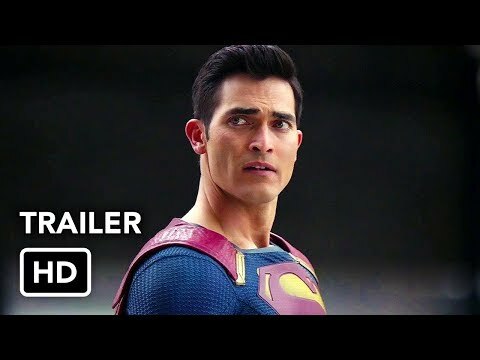 "Supergirl" is an action-adventure drama based on the DC Comics character Kara Zor-El, Superman's (Kal-El) cousin who, after 12 years of keeping her powers a secret on Earth, decides to finally embrace her superhuman abilities and be the hero she was always meant to be. Twelve-year-old Kara escaped the doomed planet Krypton with her parents' help at the same time as the infant Kal-El. Protected and raised on Earth by her foster family, the Danvers, Kara grew up in the shadow of her foster sister, Alex, and learned to conceal the phenomenal powers she shares with her famous cousin in order to keep her identity a secret. Years later, at 24, Kara (Melissa Benoist) lives in National City assisting media mogul and fierce taskmaster Cat Grant (Calista Flockhart). She works alongside her friend and IT technician Winn Schott (Jeremy Jordan) and famous photographer James Olsen (Mehcad Brooks), who Grant just hired away from the Daily Planet to serve as her new art director. However, Kara's days of keeping her talents a secret are over when Hank Henshaw (David Harewood), head of a super-secret, off-the-grid Department of Extra-Normal Operations (DEO) agency where her sister, Alex (Chyler Leigh) also works, enlists her to help them protect the citizens of National City from sinister threats. Though Kara will need to find a way to manage her newfound empowerment with her very human relationships, her heart soars as she takes to the skies as Supergirl to fight crime and protect the world. Now, in Season Two, Kara has left the safety of being Cat Grant's assistant in order to figure out what she really wants to do, while as Supergirl she continues to work at the DEO, protecting the citizens of National City and searching for Jeremiah and Cadmus. Along the way, she will team up with Superman (Tyler Hoechlin) to battle new villains, as she strives to balanceher personal life with her life as a superhero.